Dia de los muertos or Day of the dead is celebrated in Mexican culture as a day to honor and remember relatives who have passed away. This is done by making altars with pictures of your relatives no longer here and visiting their graves to bring food. This celebration takes place from October 31st to November 2nd, it’s believed the souls of those who have passed are allowed to walk the earth. Sugar skulls are closely tied with dia de los muertos. Each skull is said to represent a departed soul. They can be very elaborate and as original as you’d like. There are many makeup tutorials on creating the sugar skull look, and below are a few which I believe to be the best. 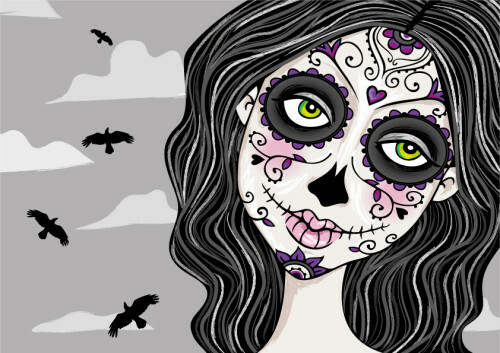 Check them out for inspiration to help you create your best sugar skull look.